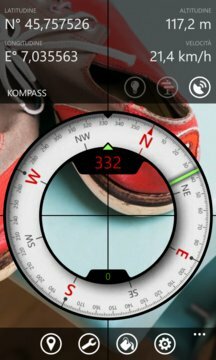 Kompass is a simple digital compass with detection of position, altitude and speed via GPS. 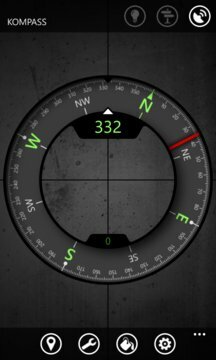 The application is fully customizable by the user (background, color display and start tile). Have fun in turn Kompass in your Kompass!